Sky Harbor is more than just America’s Friendliest Airport, it’s a robust economic hub that’s vital to job creation. Phoenix Sky Harbor International Airport is one of the 10 busiest in the nation for passenger traffic. On a typical day, more than 1,200 planes and 220,000 passengers arrive at and depart from Sky Harbor. With a $79 million daily economic impact, it’s easy to see why Sky Harbor is the largest economic engine in Arizona. 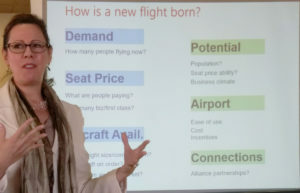 “It’s a critical transportation hub for the country that directly shapes and impacts our local economy,” Assistant Aviation Director Deborah Ostreicher said to an audience of community and business leaders at the Tempe Chamber of Commerce’s recent Hot Topics Monthly Seminar. With a total annual impact of $28.8 billion, Sky Harbor clearly illustrates it is more than just America’s Friendliest Airport®, it is a robust economic hub that’s also vital to job creation. “So when you think about what does that mean for the Valley and for Arizona…it’s a big deal,” Ostreicher said. Also a big deal is the airport recently being named the best airport in the country by ThePointsGuy travel site. Based on data rather than public opinion, the factors that pushed Sky Harbor to the No. 1 spot included proximity to downtown Phoenix, excellent delay and cancellation scores, a convenient light rail system and the multitude of dining options. Ostreicher provided some insight on passenger travel growth projections and shared the factors that affect profitability for the overall airline industry. Adding new flights is a topic that Ostreicher is passionate about and eager to share insight on. Sky Harbor Assistant Aviation Director Deborah Ostreicher explaining how new flights are developed. “How do we get a new flight…? I am asked that question a lot, particularly overseas flights,” Ostreicher said. Ostreicher reviews reports on a daily and monthly basis, comparing 2016 data to prior years. In addition to staying on top of the exact number of markets various airlines operating out of Sky Harbor serve, she constantly tracks how many people are regularly going to international destinations such as Paris, Amsterdam and Tokyo. Traveling overseas is something that is important to people, she says. So then, just how is a new flight born? It starts with demand, Ostreicher says. “Before I even reach out to an airline to get the conversation going, I have solid numbers of travelers flying to overseas destinations, which shows a clear demand,” Ostreicher said. 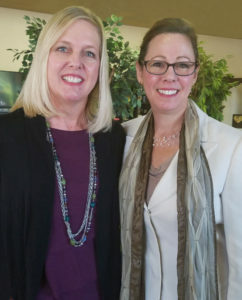 Ostreicher says that is exactly why a key part of her role is building relationships, working with the business community, the tourism industry and meeting with airline representatives regularly to see if she can entice them into flying into Phoenix. 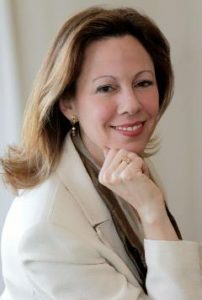 The business community can help to create that demand, she says. So what are we doing as a city to create that demand? Gill’s passion and dedication for promoting the community and creating a strong local economy shows in all that she does. 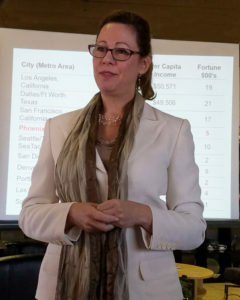 Her commitment can be seen through her strong relationships with Tempe Economic Development, Greater Phoenix Chamber of Commerce, Arizona Chamber of Commerce and Industry, as well as other vital Arizona organizations such as GPEC and the Arizona Commerce Authority that focus on economic development and business retention and expansion strategies. Ostreicher says that she often is asked why Los Angeles has so many more international flights than Phoenix. Building on the momentum of being ranked the best airport in the country and working on securing new international flights, Ostreicher proudly shared her excitement on the progress of the remodeling of Terminal 3. The $150 million portion of the remodel project is slated to open to passengers by the end of the year. By the end of the year, the west end of Terminal 3 will be remodeled and open. At which time the east end of Terminal 3 will be closed for remodeling. Terminal 3 is expected to be completed in 2020.